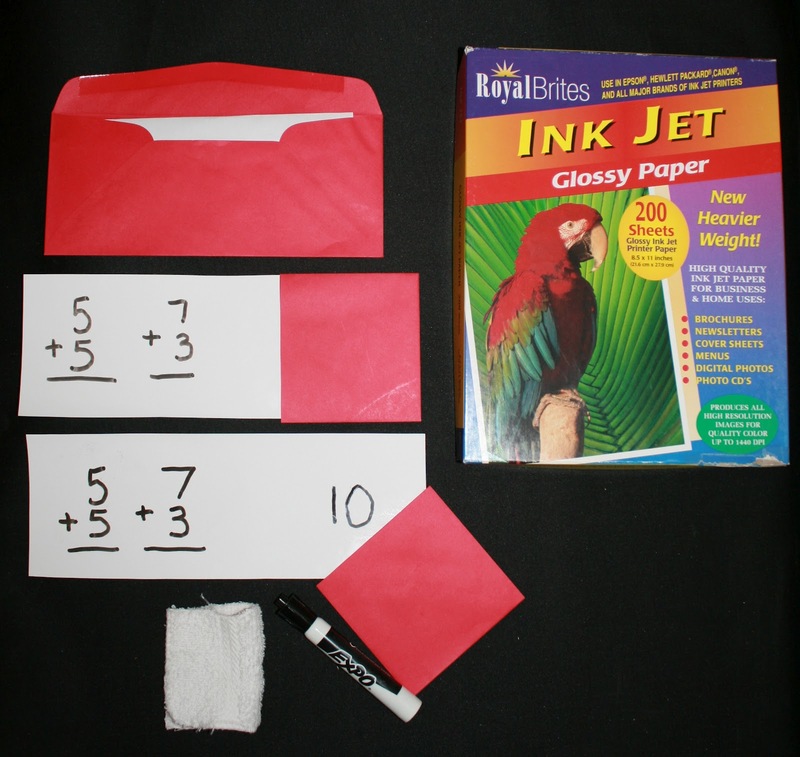 Your kiddo’s will have fun learning fact families by making a neighborhood of colorful schoolhouses, playing the fact family schoolhouse spinner game, T-eriffic T-bar mad-minute game, and showing what they know via the “Secret Solution” written on a mini dry-erase board, made out of a piece of glossy paper and the end of an envelope! 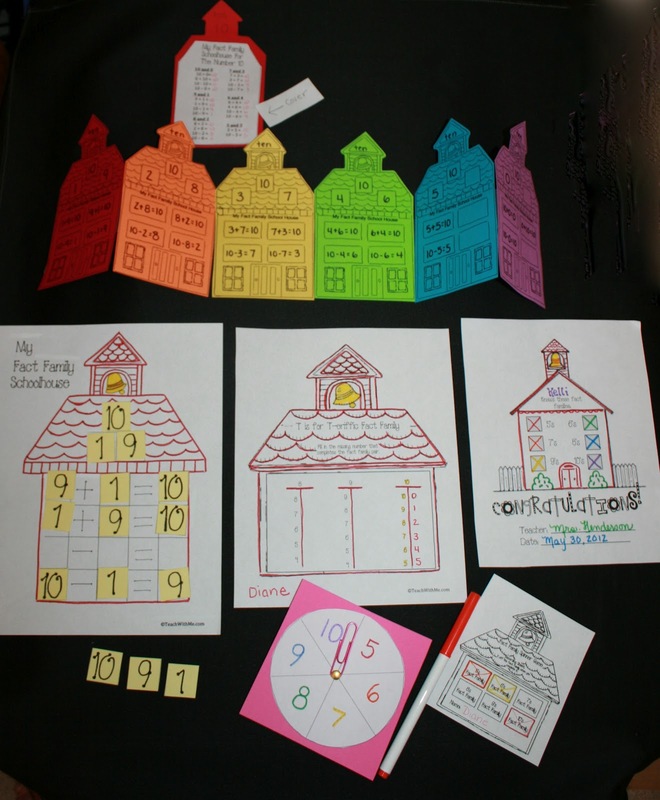 Fact Family schoolhouse “craftivity” templates. 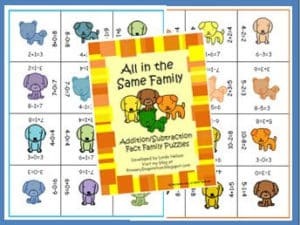 Fact Family spinner game templates. Directions how to make a “Secret Solutions” dry-erase envelope board.